» Consoling Angel gets an honorable mention & Fireworks gets a Finalist nod! Consoling Angel gets an honorable mention & Fireworks gets a Finalist nod! 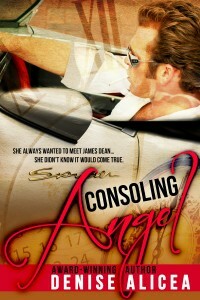 Consoling Angel has been given an honorable mention at the Celtic Hearts Romance Writer’s Sneak Peak Contest! Fireworks, which is part of the The Fourth of July anthology has gotten a finalist nod for Celtic Hearts Romance Writer’s Sneak Peak Contest! Thank you to the board at CHRW, you have made this a very exciting year for me!